Marathon runners complete two laps of the course. All marathon runners start in the first wave which goes off at 9.30am. Marathon runners will visit each drinks station twice and therefore will pass 10 stations throughout the marathon. 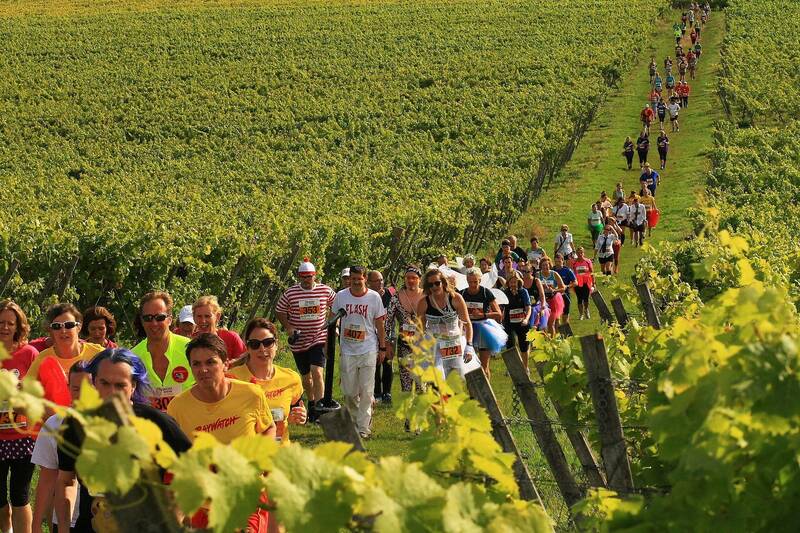 You need to be capable of running a five-hour marathon to consider entering the Bacchus Marathon. There is a strict half-way cut-off of 2 hours 30 minutes on the first lap for all marathon runners. Any marathon runner who completes the first lap after this time will be asked to finish and will receive a half-marathon medal. We can not guarantee medical, marshal or drinks station support to any runners who continue on the course after this time. Half Marathon runners complete one lap of the course and will visit five drinks stations along the route, the last station is a double station serving two wines. There are five Half Marathon waves with a maximum, of 500 runners in each, starting at 9.45am with subsequent waves leaving at 10am, 10.15am, 10.30am and 10.45am. Runners will be asked to select their preferred wave when they enter. Individual waves will be closed to new entrants when 500 runners have registered for it. After the success of the five-mile run/walk in 2018, we've decided to extend the distance slightly to add a more conventional 10K for 2019. 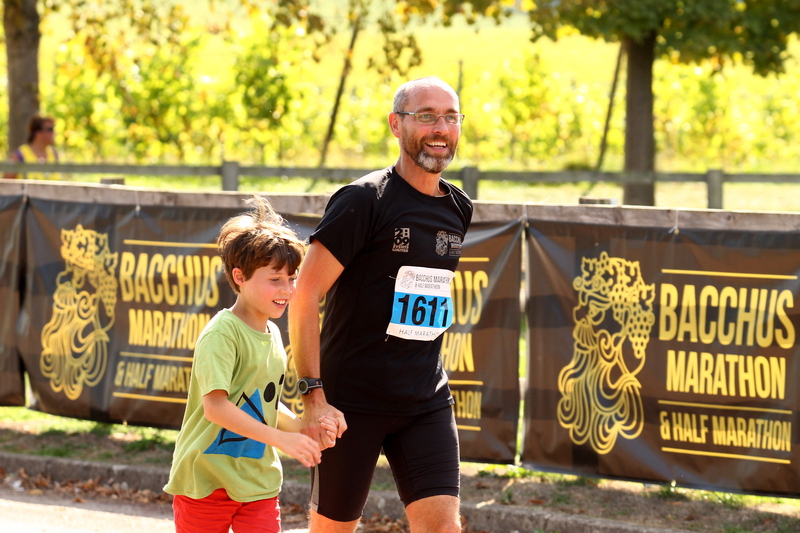 The 10K is aimed at those who want to experience the spirit of Bacchus without the exertions or the half-marathon course. 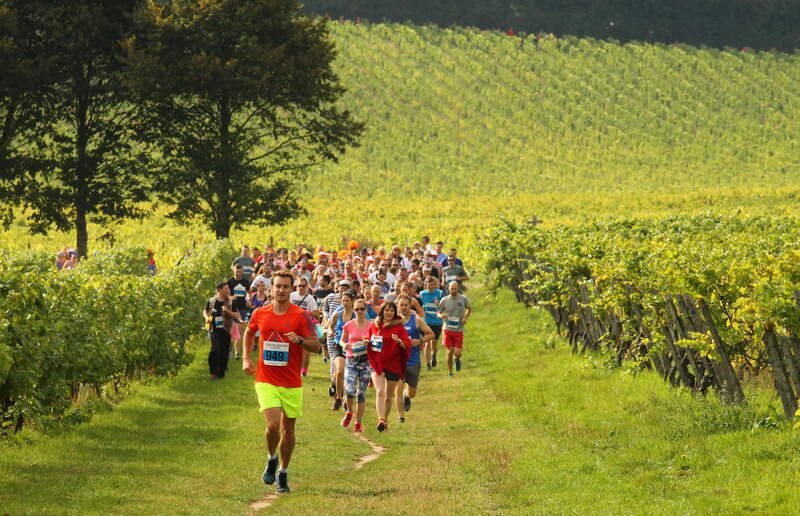 The 10K starts at 11am and leaves from the same start, runs up through the vineyard and visits the first drinks station before returning to the finish. Entry to the 10K includes race timing, free post-race photographs and a ticket to the post race hog-roast but does not include the event T-shirt, which can be purchased for £10 in advance of £15 on the day. 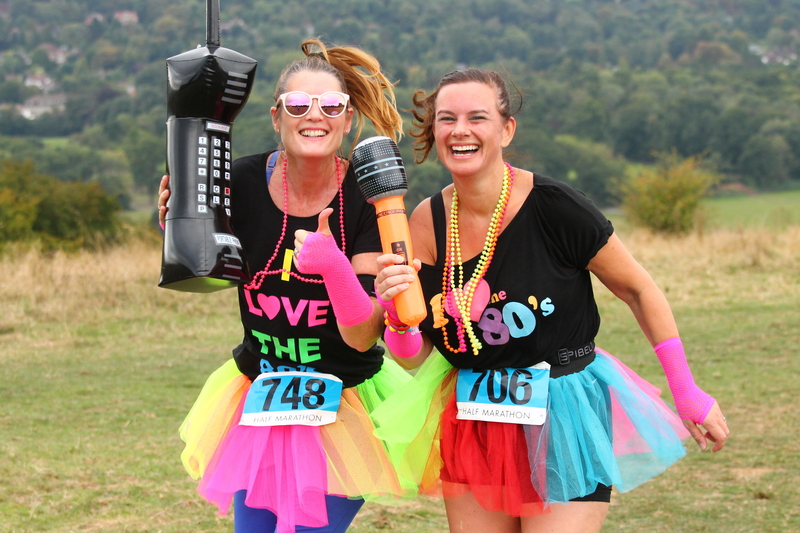 The 10K is aimed at primarily at adults but anyone under the age of 18 can take part. Those under 18 will receive a specially marked number and will be served soft drinks at the aid station and at the finish. The final event of Bacchus is a two-miler aimed at children. It is untimed, free to enter and you will receive a medal at the finish. Anyone wishing to take part must still register in advance. It starts immediately after the 5-Miler at 11am.